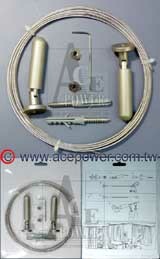 Curtain Wire set, (Cable-set for Curtain), Stainless Cable set with PEP packing, 1 piece Dia. : 2mm Length: 5meter wire. 2 pieces Adjuster-Bracket. 2 pieces Stop-Ring with screw sets. 2 pieces Screws with plugs for wall . Wire Hanger set, Stainless Cable set with bag packing, 1 piece Dia. 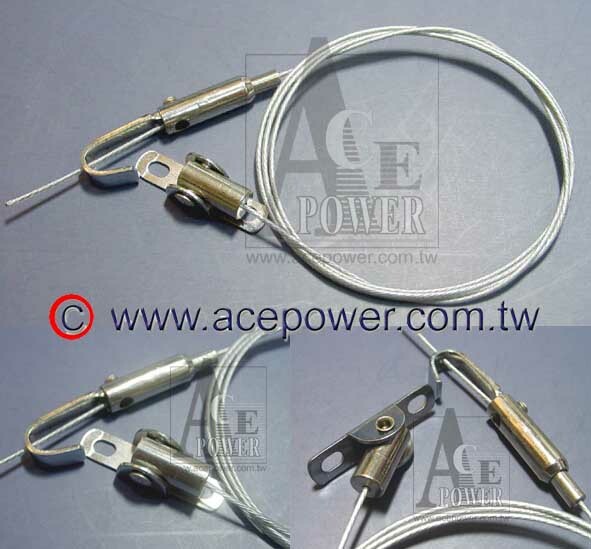 : 1mm Length: 1meter wire, Outside W/O Nylon. 1 piece Adjuster-hanger. 1 piece Stop-Ring sets. 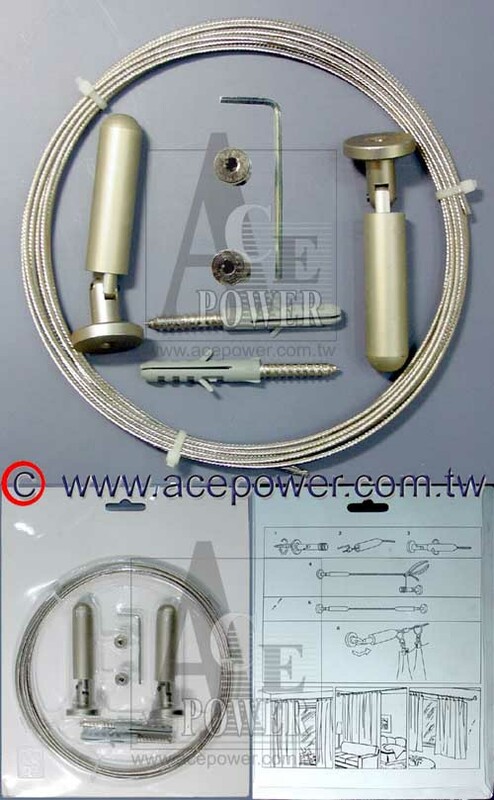 Wire Hanger set, Stainless Cable set with bag packing, 1 piece Dia. 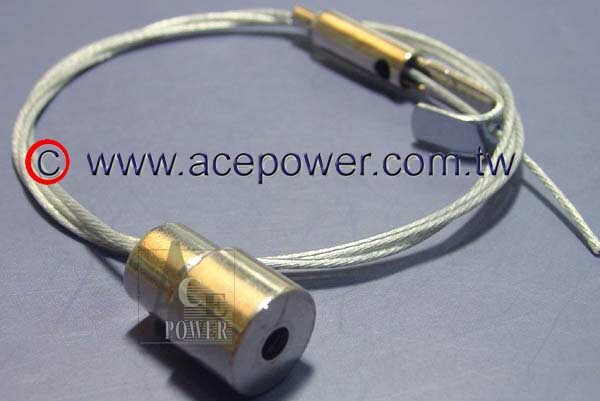 : 1mm Length: 1meter wire, Outside W/O Nylon. 1 piece Adjuster-hanger. 1 piece fixer with bracket sets.